This year the 6km route goes through the Cathedral ruins before heading through the University campus and out on to the ring-road. The free event will include lots of other activities in the festival zones including Danny Butler’s Extreme Mountain Bike Stunt Show and Go Ride skills course in Millennium Place. In Broadgate you can get a free bike check from Madison, take part in the Wattbike Challenge or personalise your free bib. Digbeth Dining Club will also be in University Square where you can park your bike and grab some street food and the Transport Museum café will also have special offers on the day. 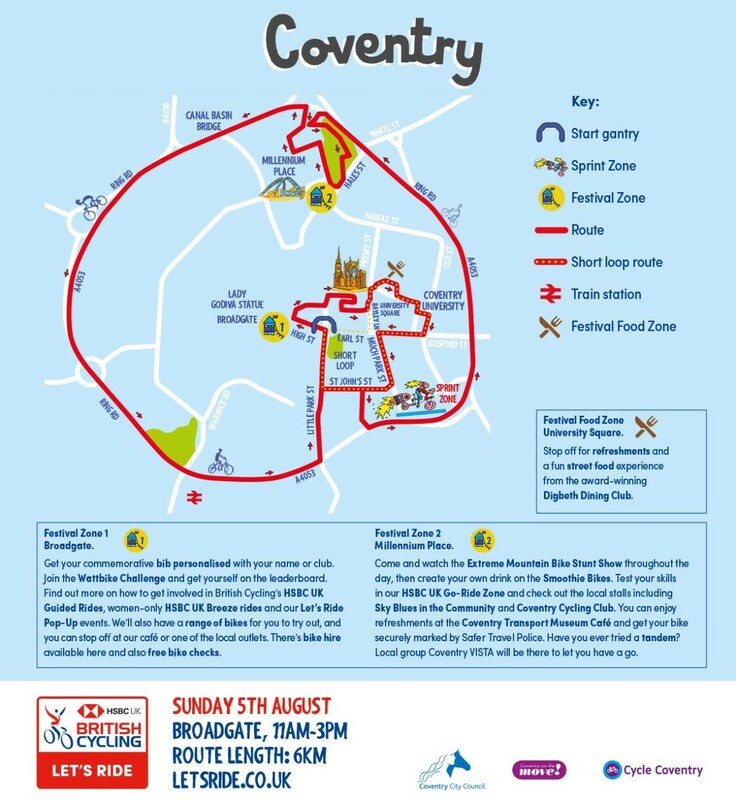 The free event will start by the Council House at 11am and people are free to ride the course as many times as they like until 3pm.